Shortlisted in Amara Interior Awards! I wanted to post about it yesterday, but I needed 2 days to cool down. Not in million years, I would expect that. I actually thought there was a mistake and I was awaiting email saying, ”We really apologies…”. but it didn’t come through which means.. 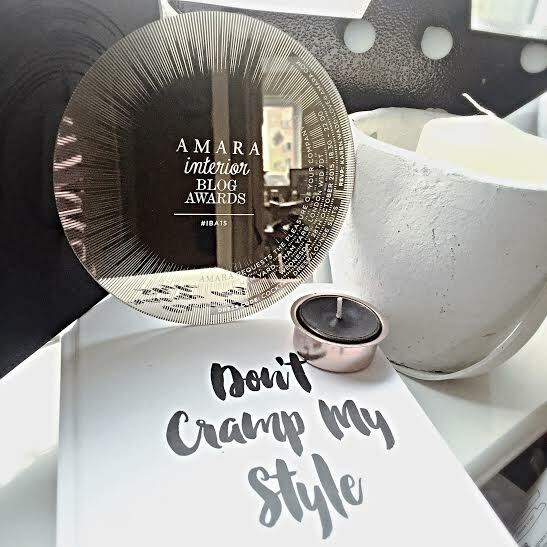 I am bloody shortlisted as Best Newcomer in Amara Interior Awards!!! Panel of judges will pick the winner and announce it at the stunning Ham Yard Theatre and Dive Bar! Incredible place! When it comes to interiors and blogging..this is not a hobby, this is not a job. This is my whole life! I live and breath interiors. When I received the most creative invitation yesterday, I burst into tears! I honestly cried. Despite how cheesy it sound, but I cried. I cried, because I did it, and most of all because I realized how amazing I have friends and readers of my blog. I just realized, how many of you lovely people actually spared few minutes and typed those few words, your name and your email. Usually people can’t be asked but you did it, you care about me, and you like me and my blog! This is the best feeling ever! You are reading my mumblings yay!! Guys, you are amazing! Hell yeah I am shortlised!! I am incredible happy that you like it and you enjoy my blog! It shows that blogging about interiors doesn’t have to be only sharing designer pieces or showing your amazingly decorated home. The beauty of bare windows. My 2016 wishlist- Living Room! So pleased to hear this news, will be keeping my fingers crossed for more good news from you. Well done on being shortlisted lovely! Such a great achievement. A very big congratulations to you! Can imagine how chuffed you are and hopefully it all turns out well for you. Wow!! How wonderful. A massive congratualtions. Good luck and I hope you had a fab time at the awards! Fantastic news and so well deserved. Keeping my fingers crossed for you. Well done for being shortlisted! That is such a great achievement! Congratulations, it's very well deserved. Best of luck with the awards and I'll be keeping my fingers crossed that you win. Well done I knew that you could do it, you must be so proud of yourself I hope that you win x When do you get the results back? That's amazing news, and I think I'd be disbelieving too if it were me. Good luck – when do you find out?